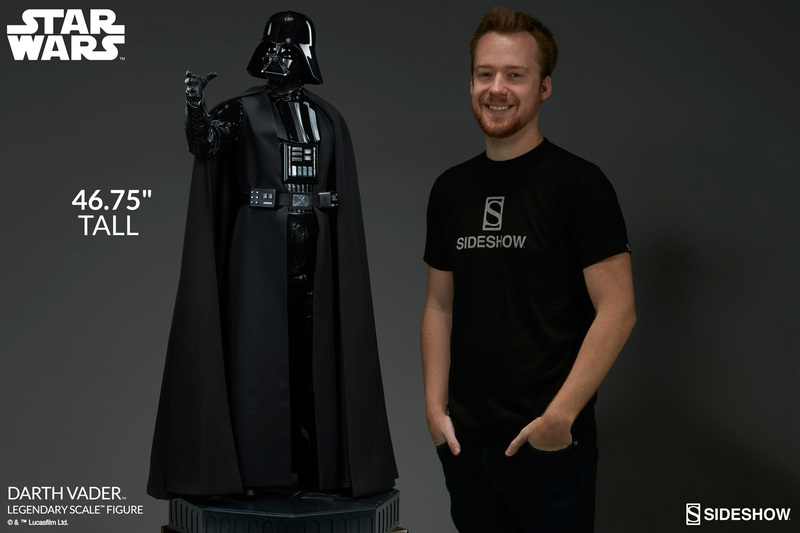 Check out a video preview for the next Star Wars collectibles coming from Sideshow. 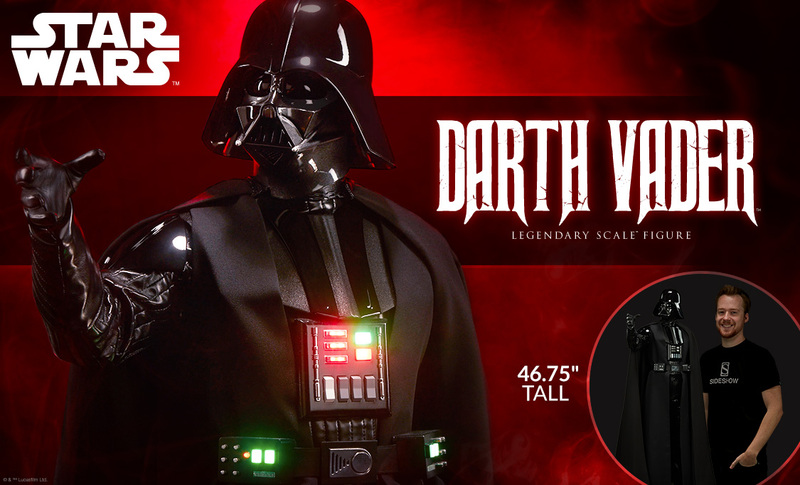 They have revealed a new Star Wars Darth Vader Legendary Scale Figure. This massive statue will stand just under 4′ tall! IT features a fabric outfit and working LED lights on the chest. Pre-orders will go live on Thursday, June 29, 2017, sometime between Noon and 3:00 PM Pacific Time. No word on pricing at this time. Look for a full update early next week.